With a body hugging fit and sweat reducing moisture wicking technology, this full length tight is performance-boosting training wear for girls aged 6 to 14 years. The soft and functional fabric used in Canterbury’s VapoDri AOP Full Length Tight provides comfort and the support your young athlete needs while moving around. It also employs Canterbury’s VapoDri fabric technology to keep her dry while she trains, by wicking moisture away from the skin. 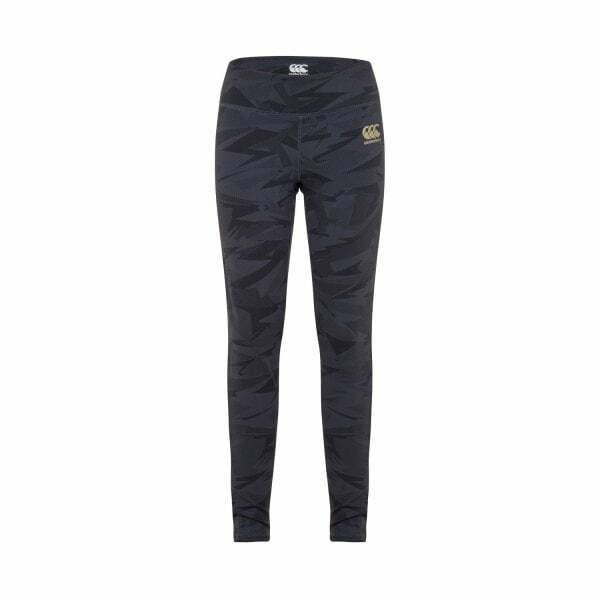 The extra stretch waistband and mid rise fit also hugs to her body for maximum comfort and as an added safety feature, this tight is finished with reflective Canterbury branding to provide greater visibility if she’s training in low light conditions.